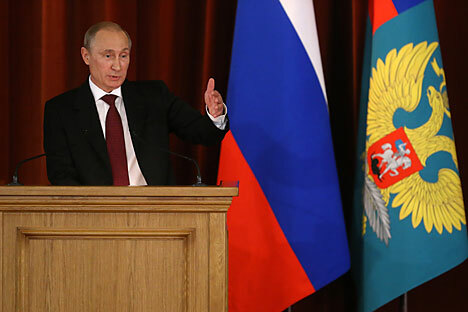 Russian President Vladimir Putin gave a landmark speech at a meeting of ambassadors and permanent representatives of the Russian Federation at the Ministry of Foreign Affairs in Moscow, which took place from 30 June to 3 July. In his address Putin compared the situation in Ukraine to Iraq and Syria and outlined the need for a new pan-European framework for preventing conflict. As Mikhail Margelov, Chairman of the Foreign Affairs Committee of the Federation Council, who attended the meeting at the Ministry of Foreign Affairs, said to RBTH, recent events have accelerated Russia’s goal to expand her potential for overseas trade with the East.